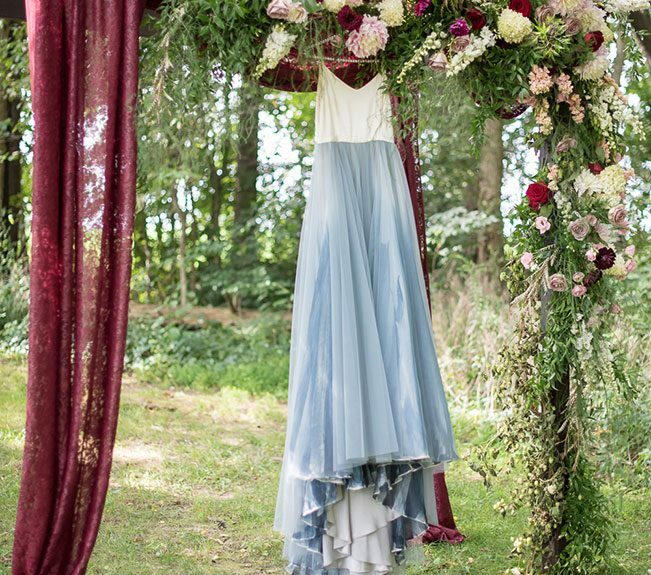 Fantasy weddings can be a truly magical thing. 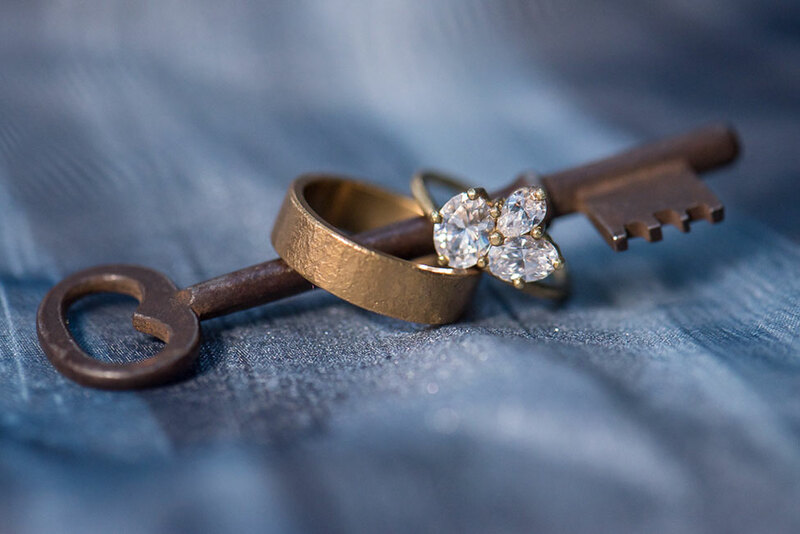 In the wrong hands, a bit of a cacophony to the eyes at times. 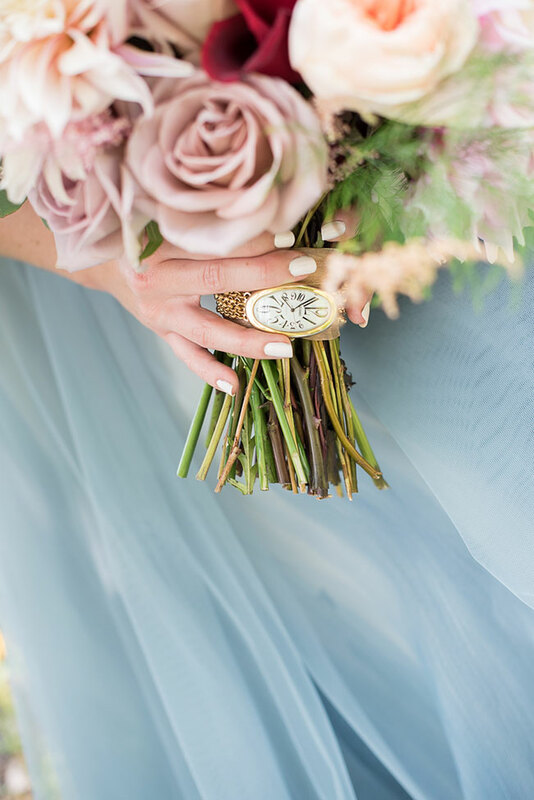 In the right hands, a beautiful source of inspiration. 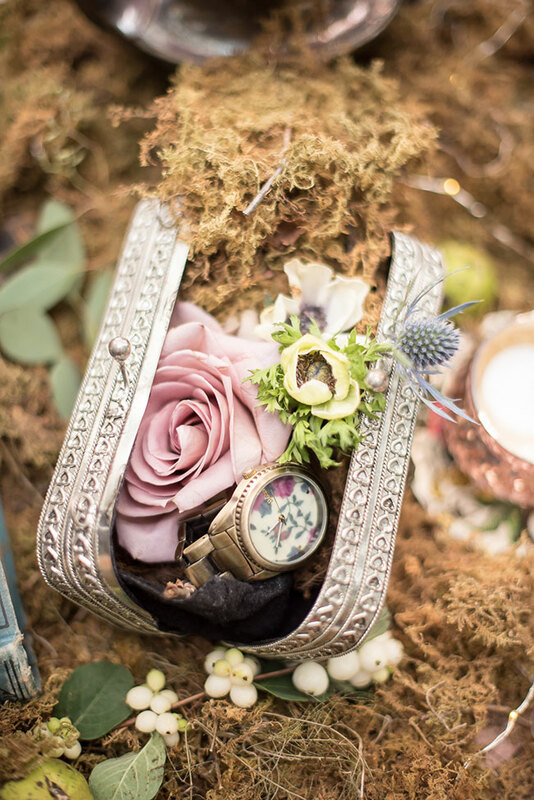 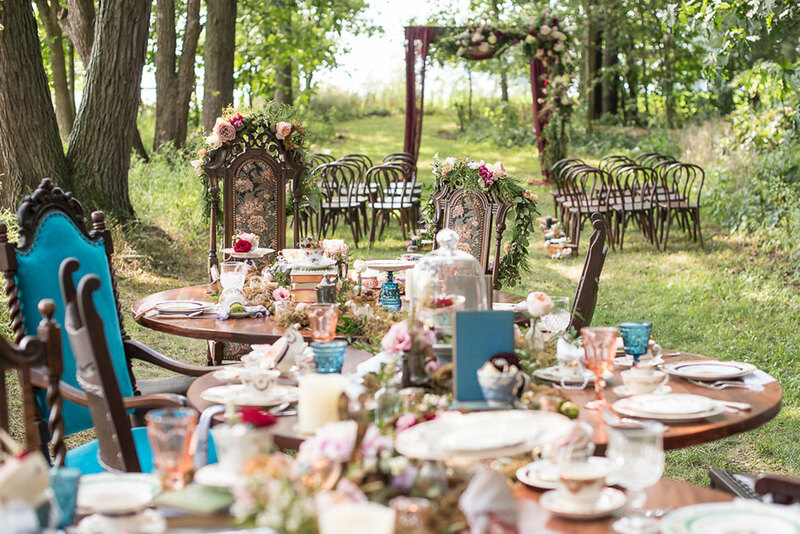 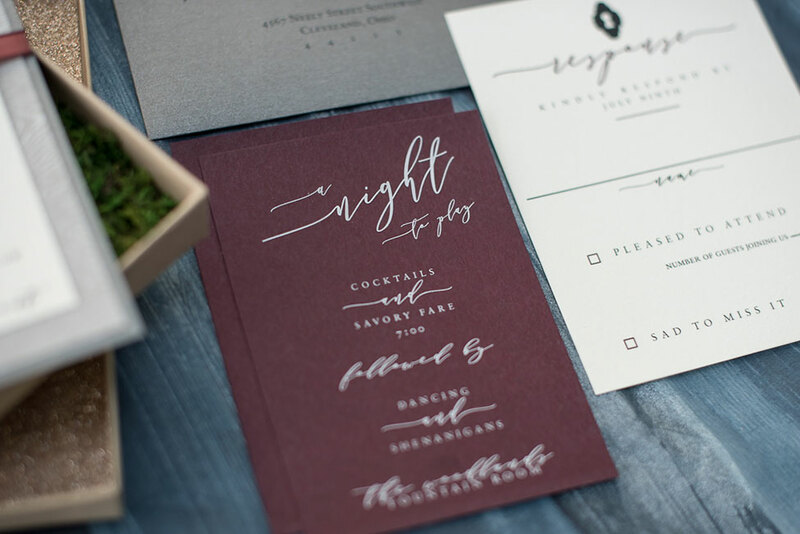 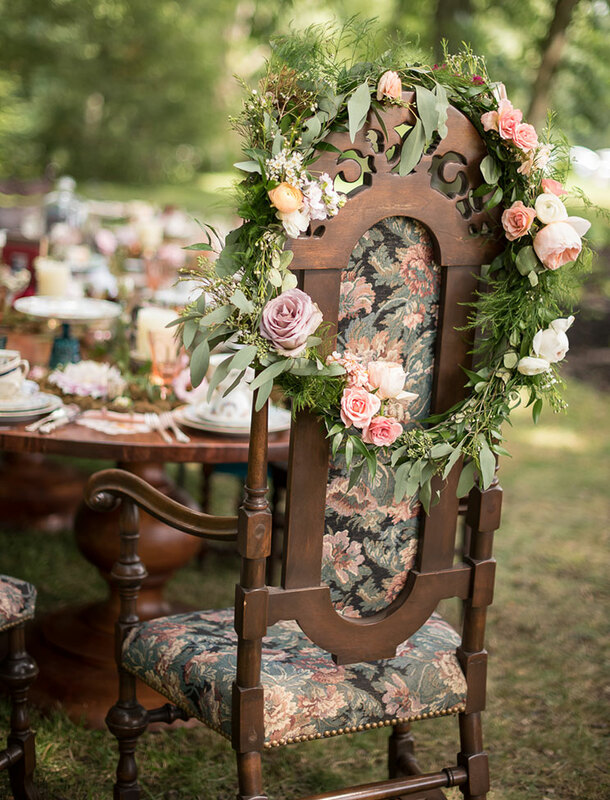 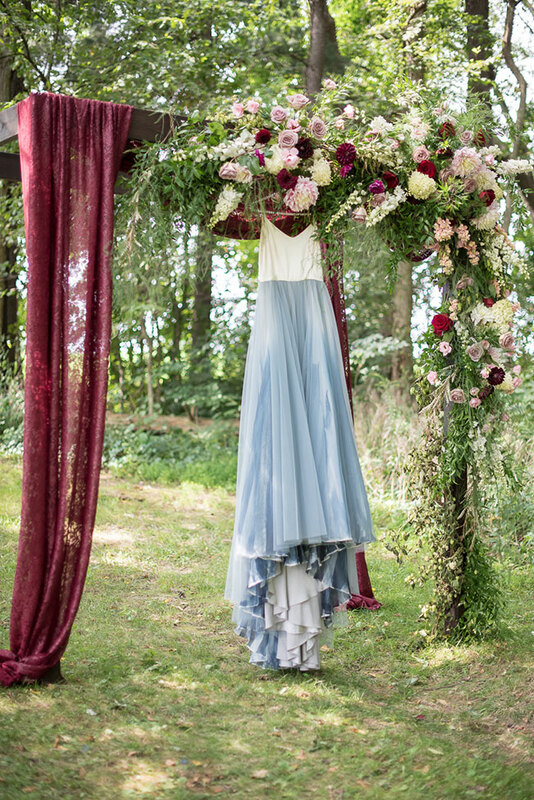 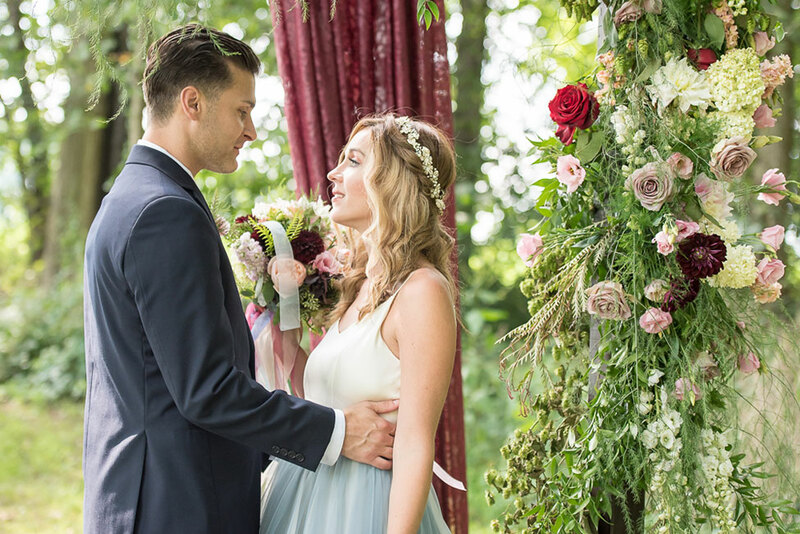 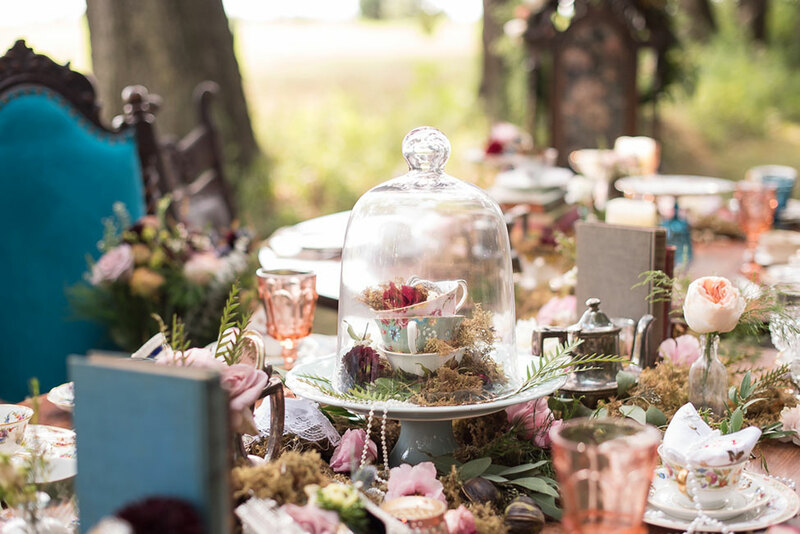 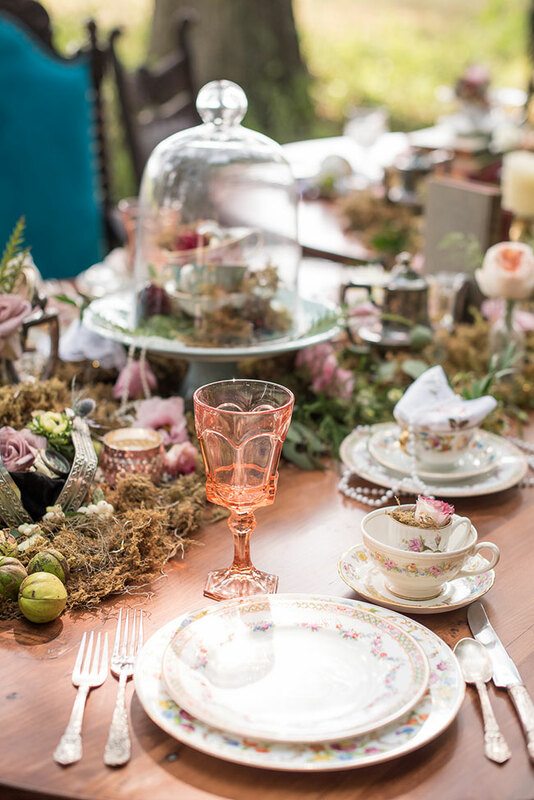 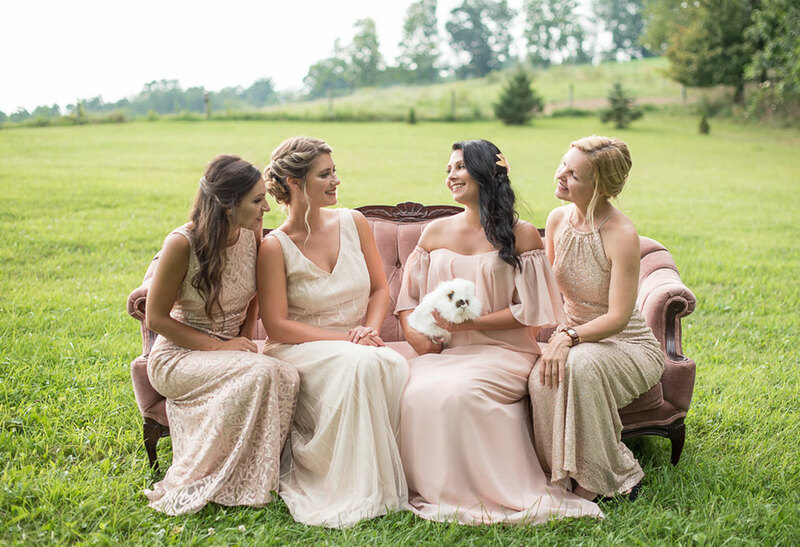 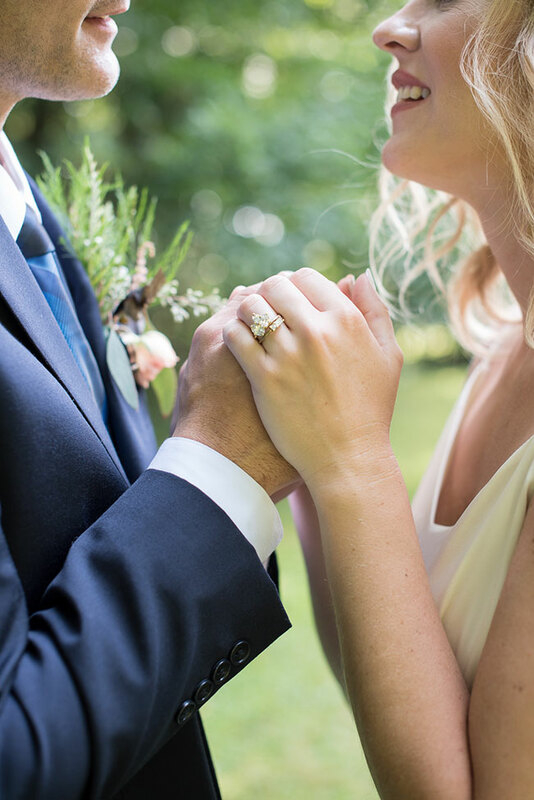 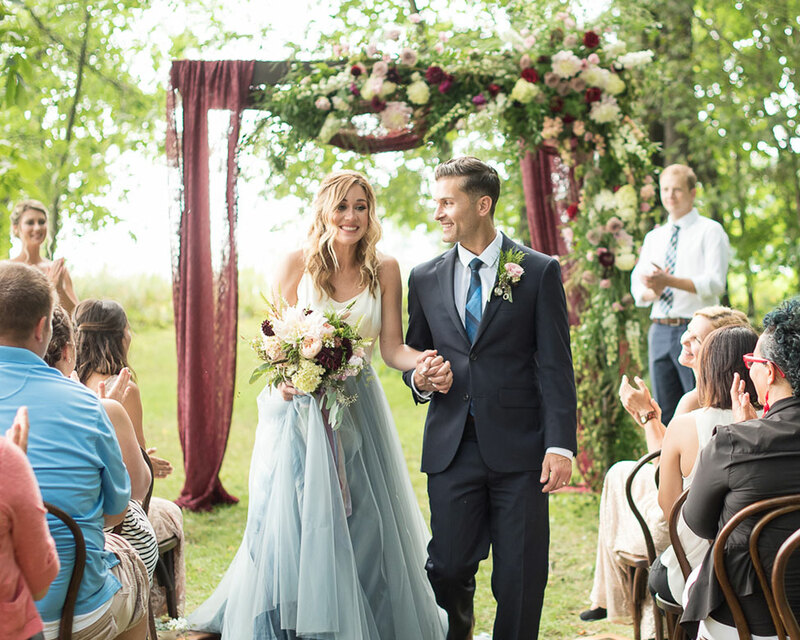 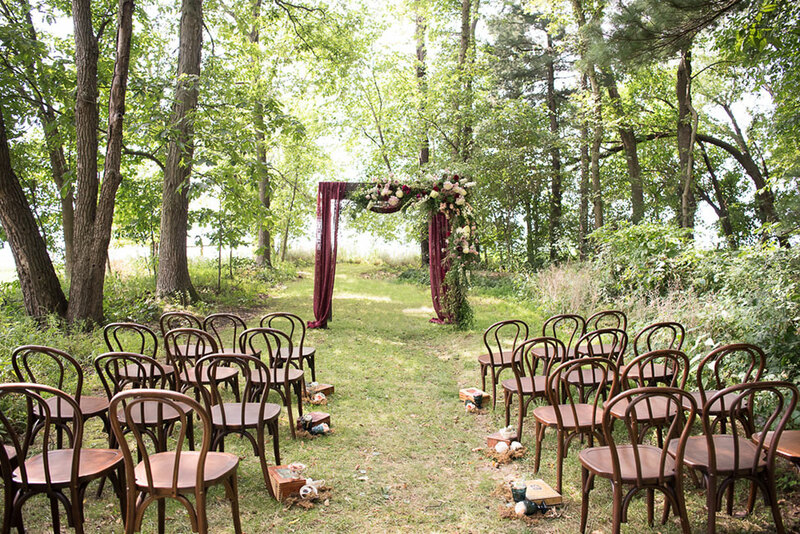 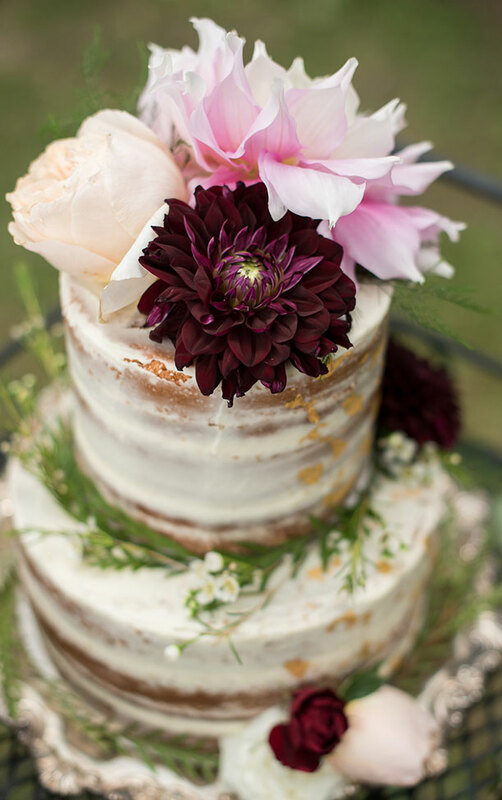 This styled Wonderland wedding is everything right about pulling from a storybook world. 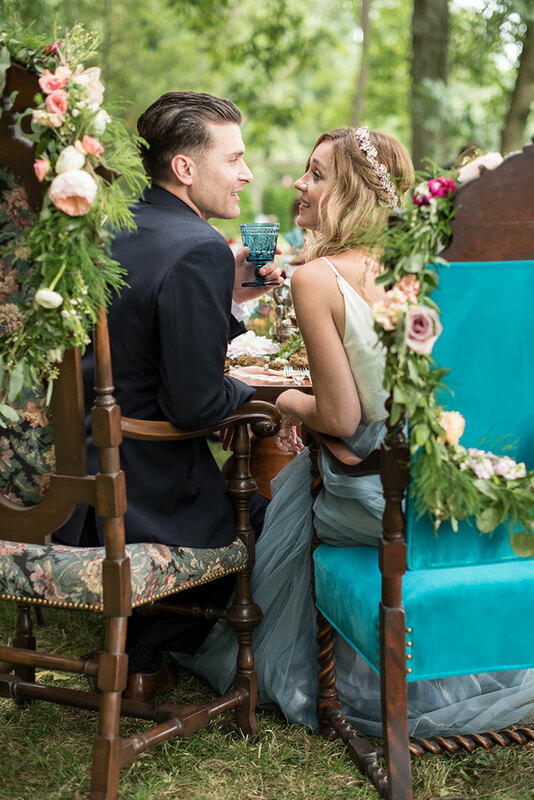 Taking a cue from simple details like colors & decor, the skilled wedding pros created an elevated take to the Wonderland wedding. 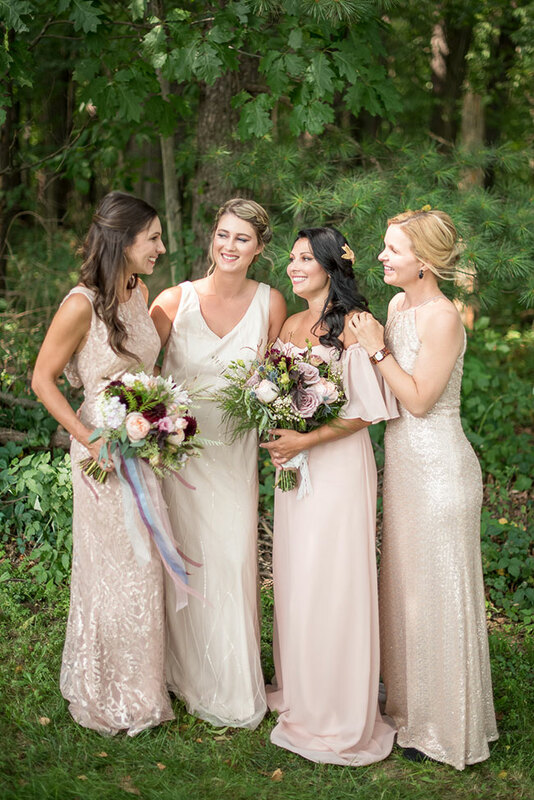 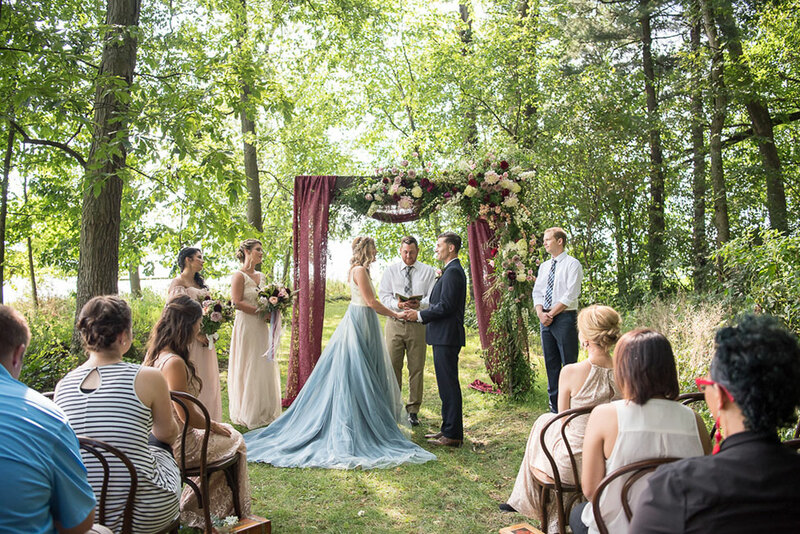 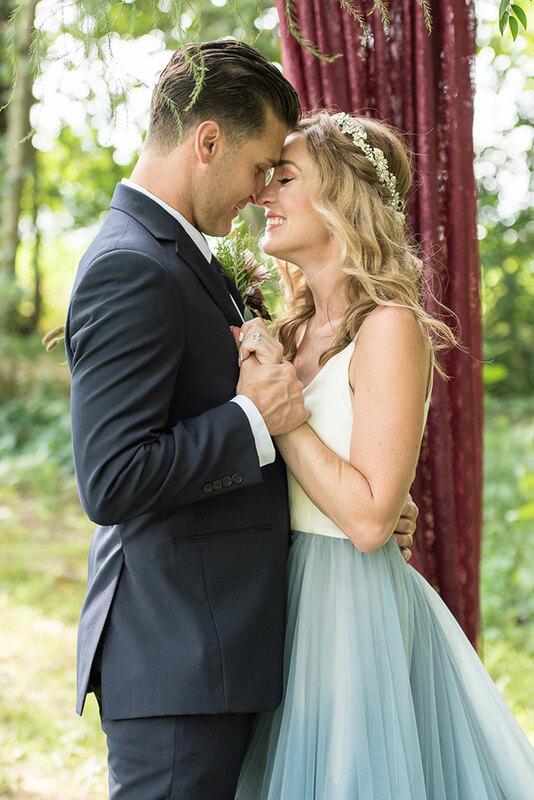 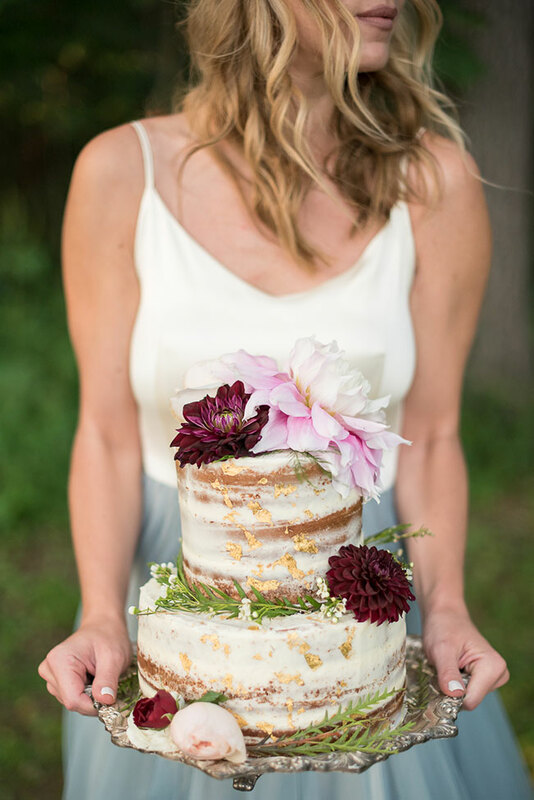 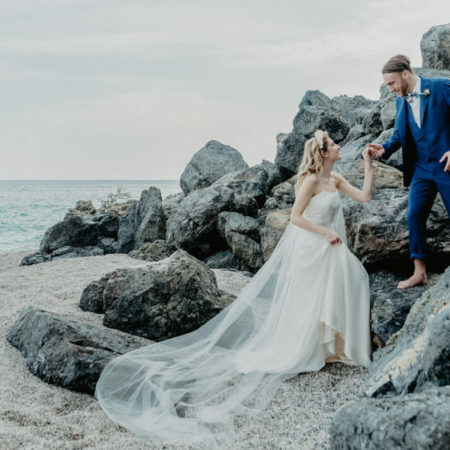 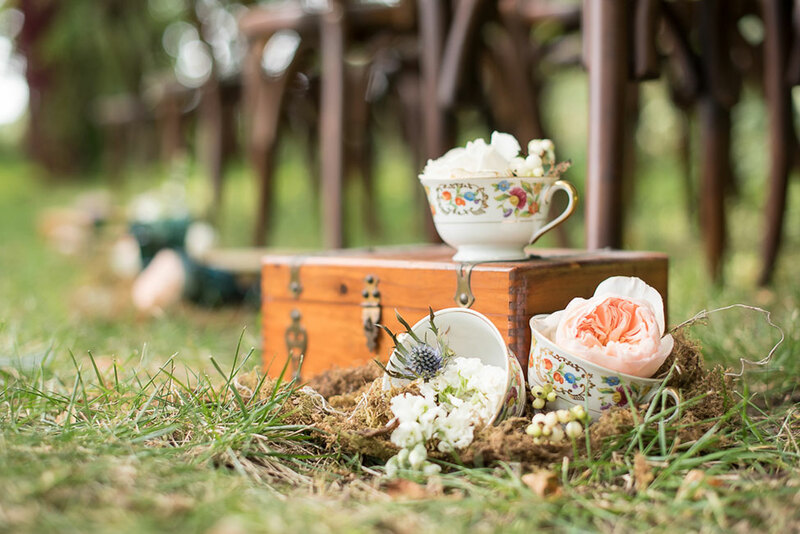 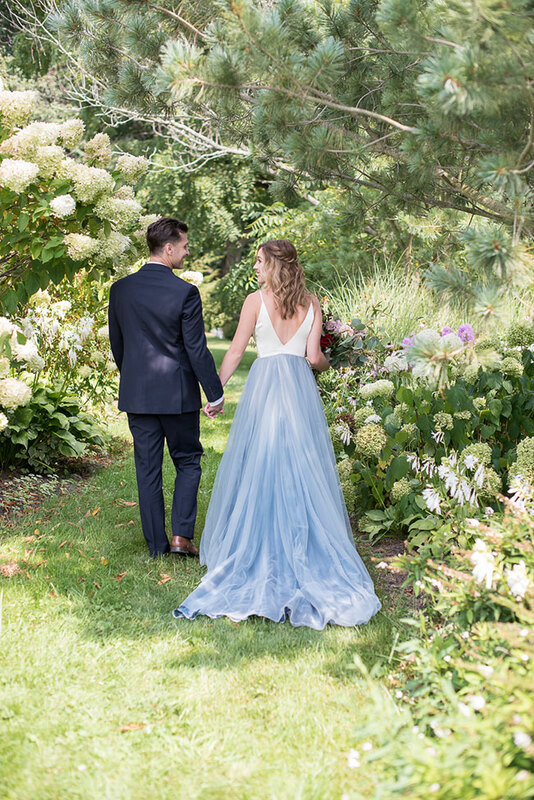 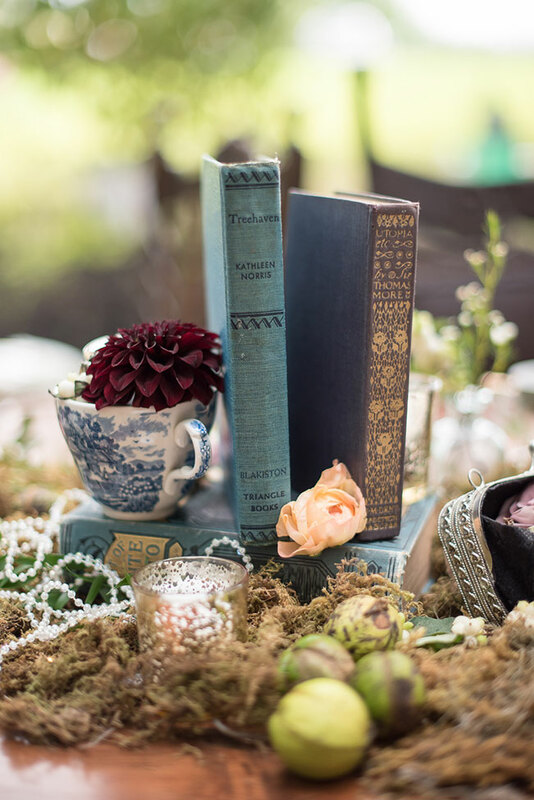 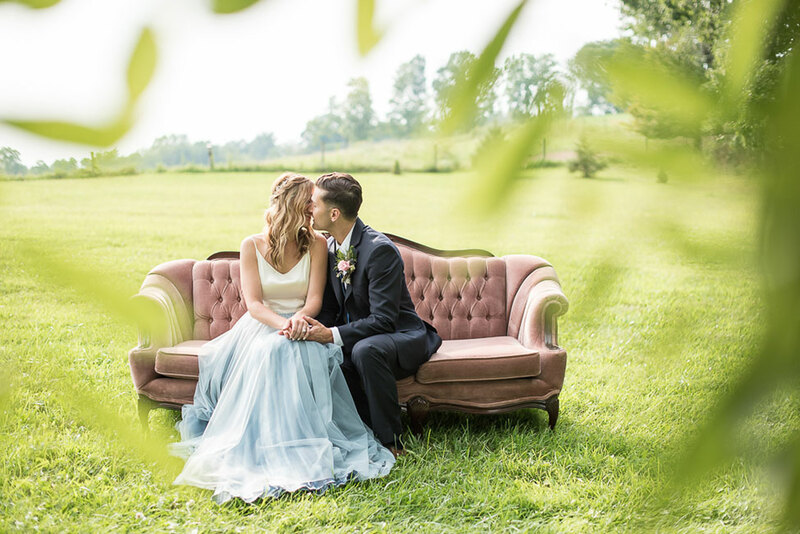 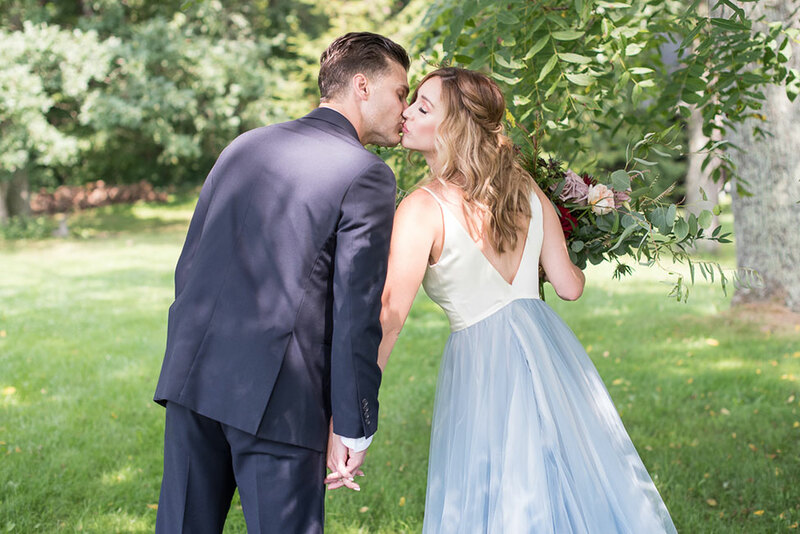 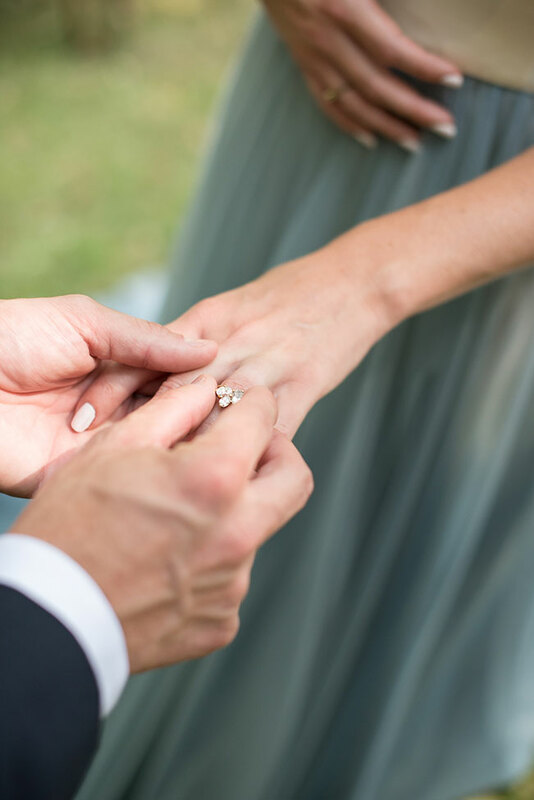 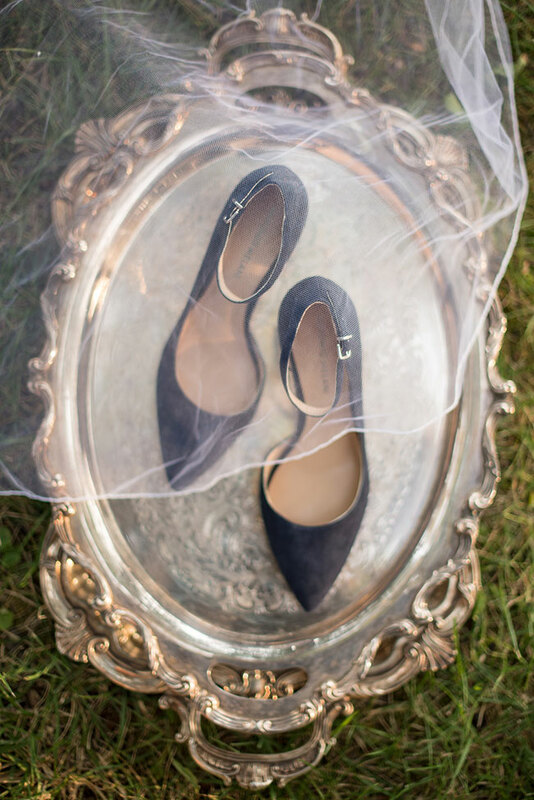 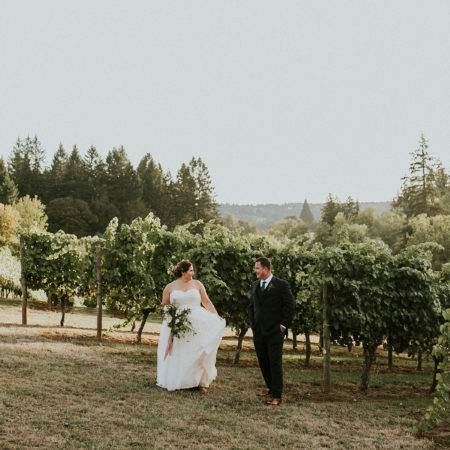 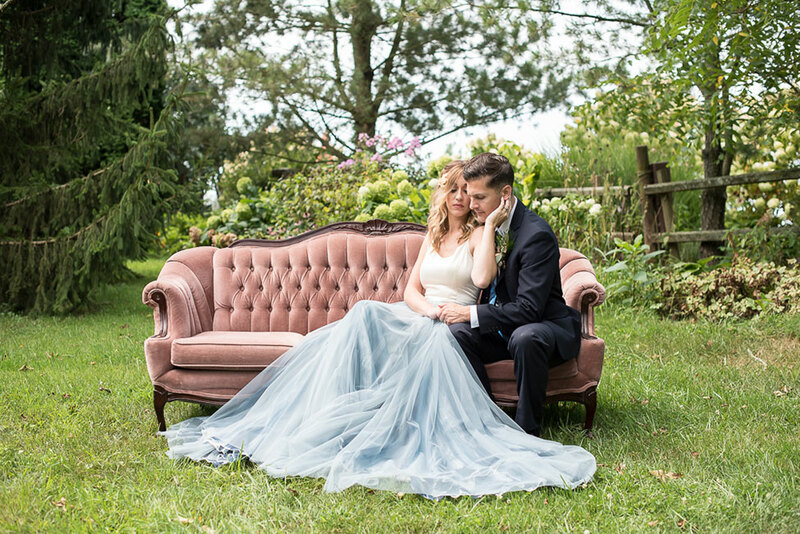 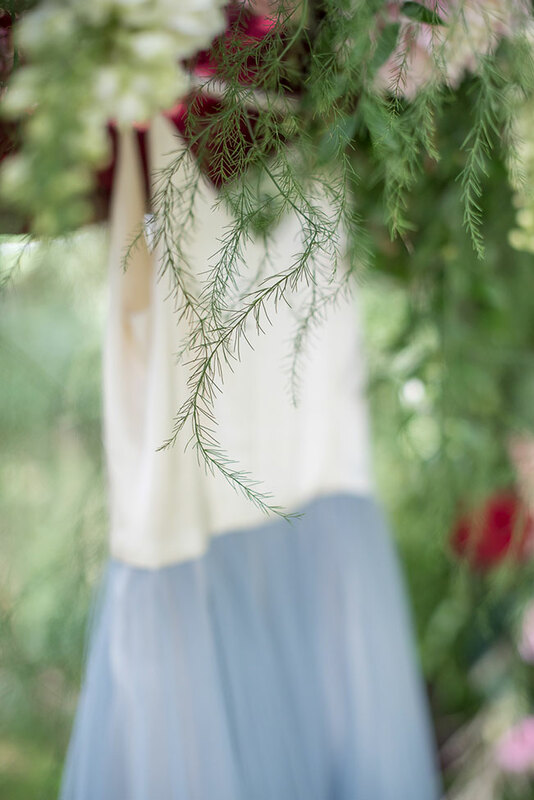 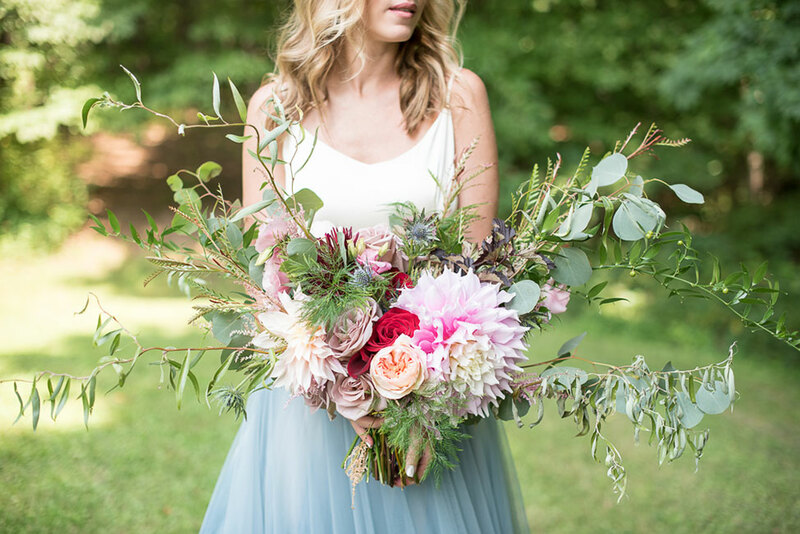 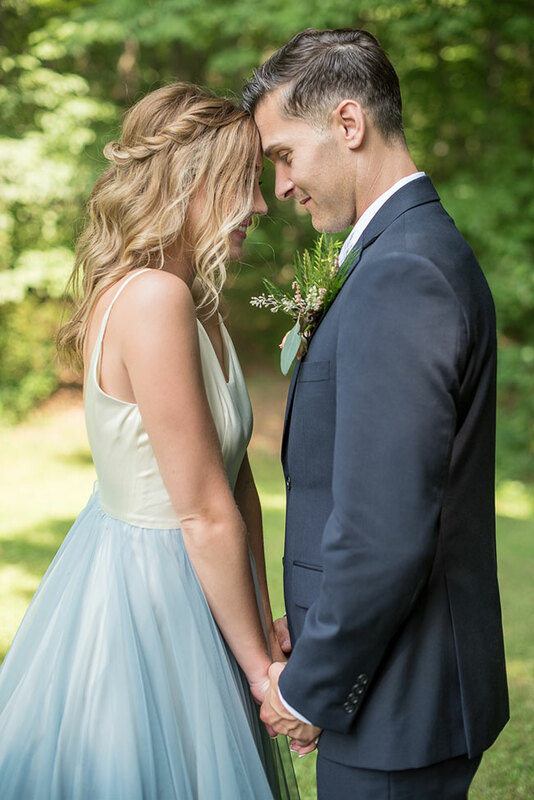 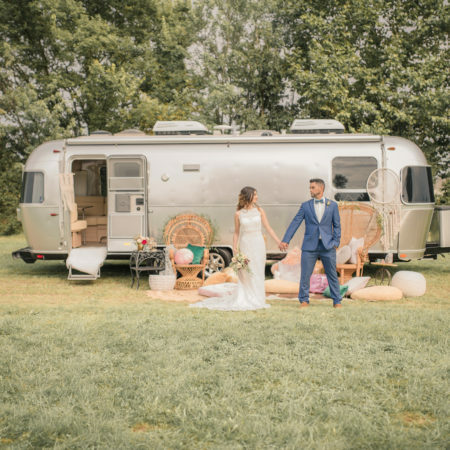 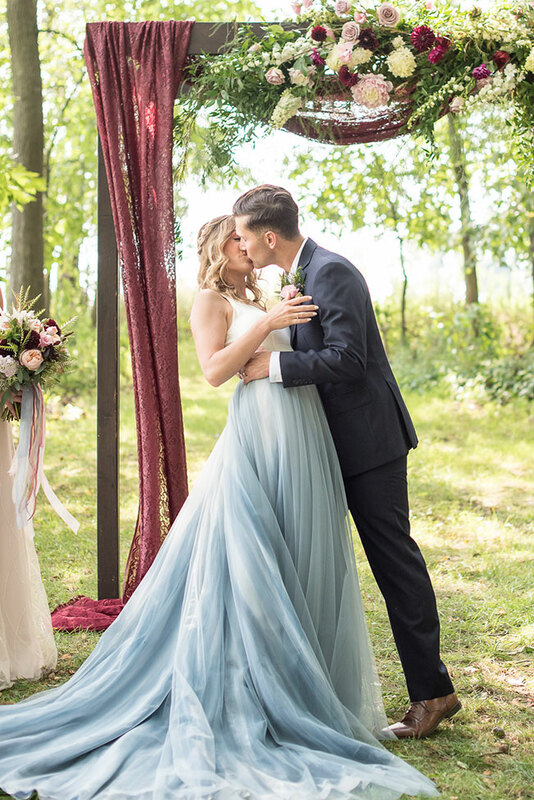 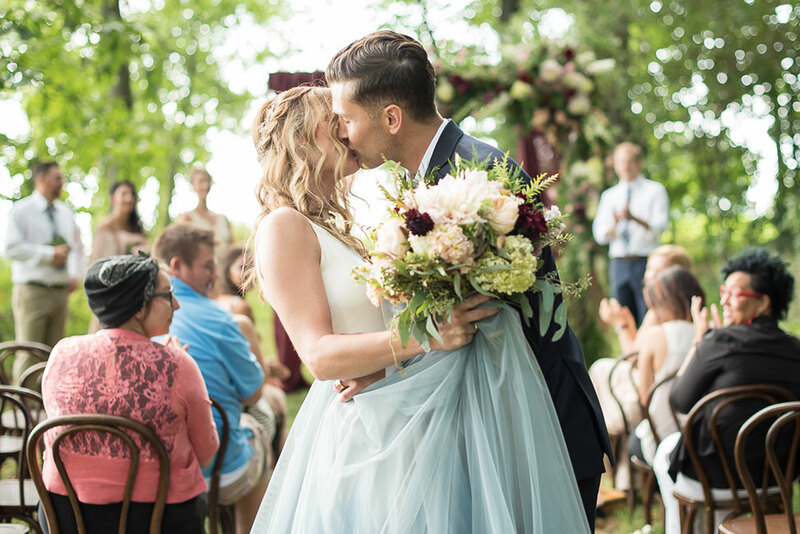 Set at Wonderland In The Woods, wedding photographer Sabrina Hall Photography, captured each little detail that makes this a true beauty, all starting with an incredible dreamy blue wedding dress from Blanc de Blanc! 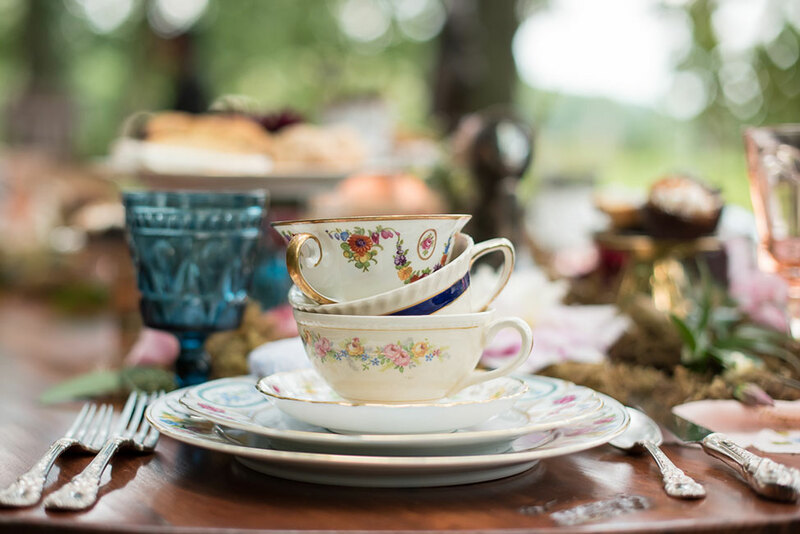 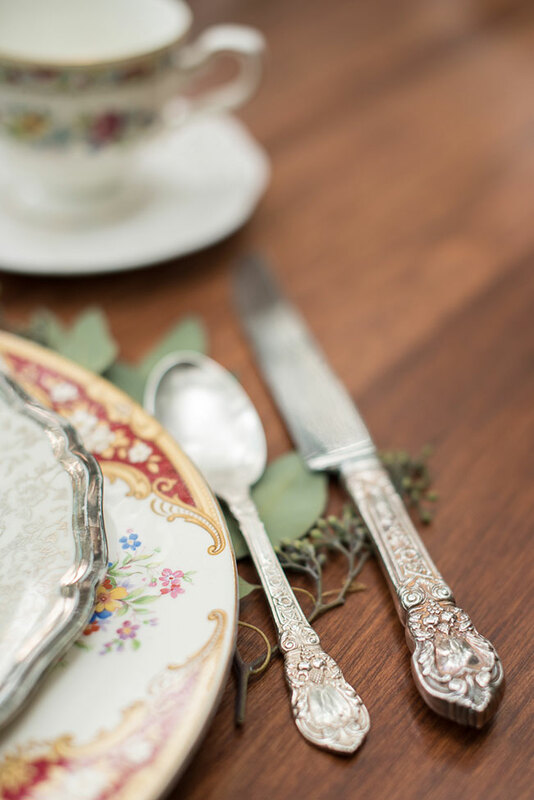 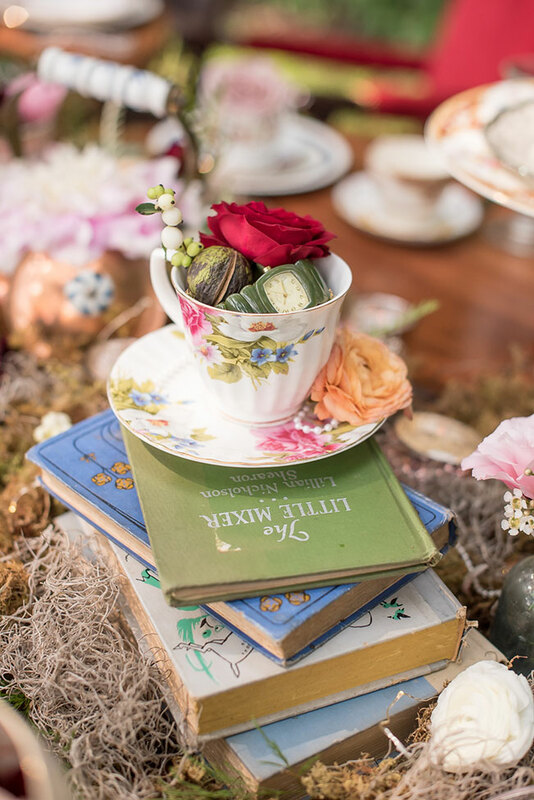 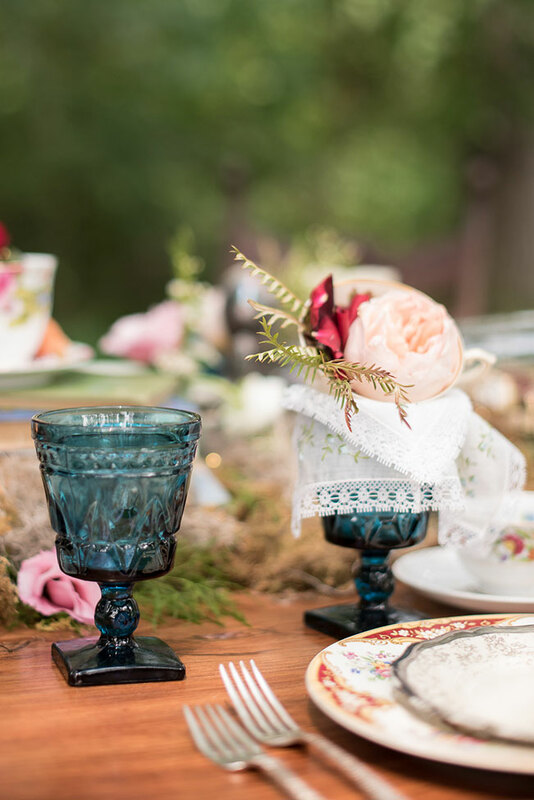 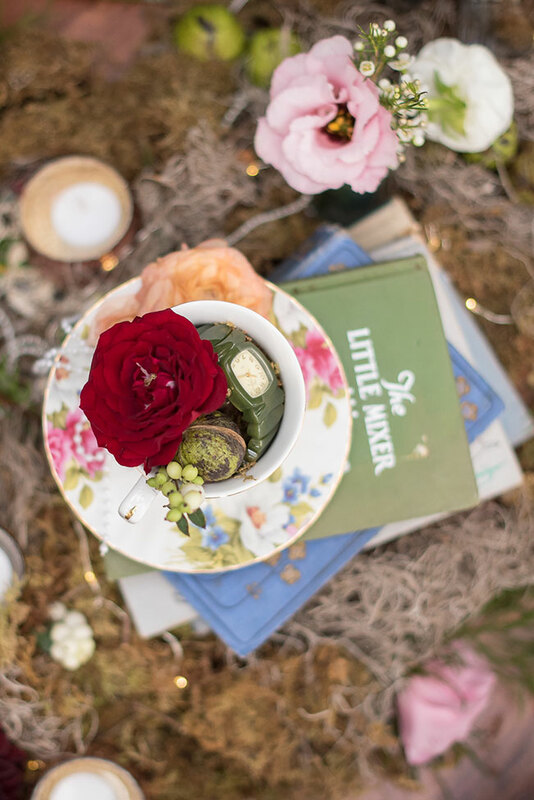 By focusing on just one aspect of the story, the team pulled together a thoughtful tablescape of tea cups, bell jar installations, and blue glassware from Borrow Rentals that was all kinds of perfection. 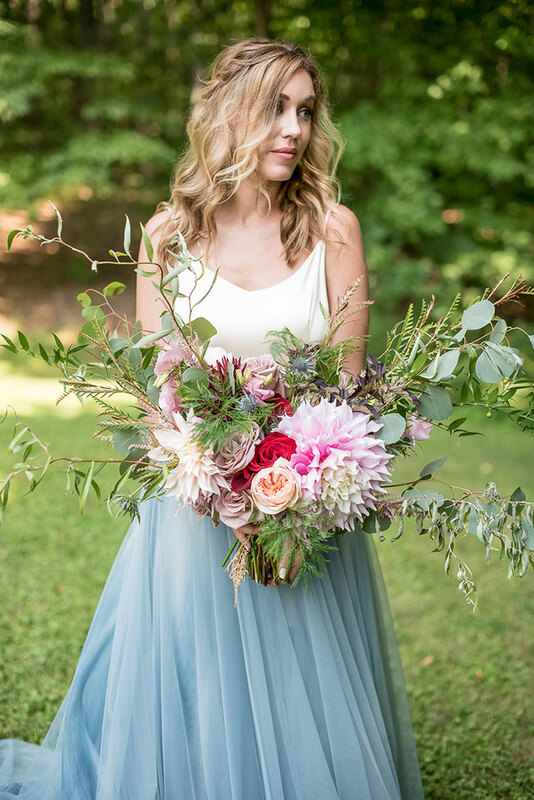 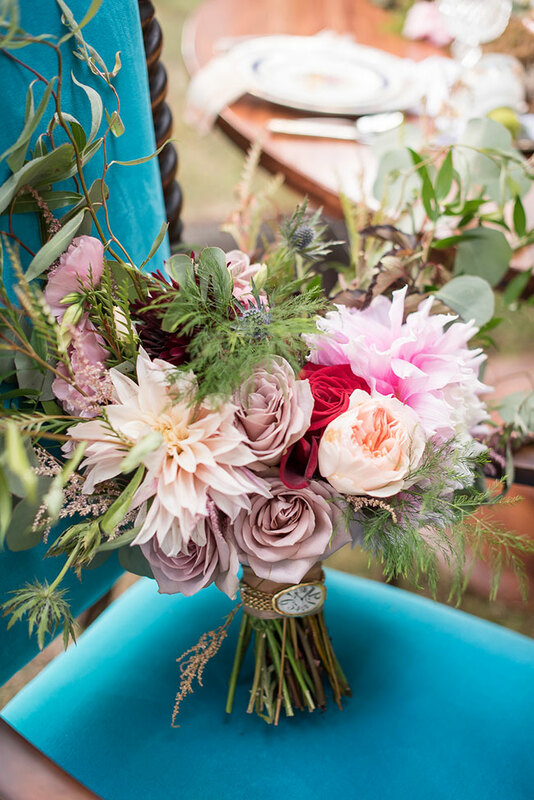 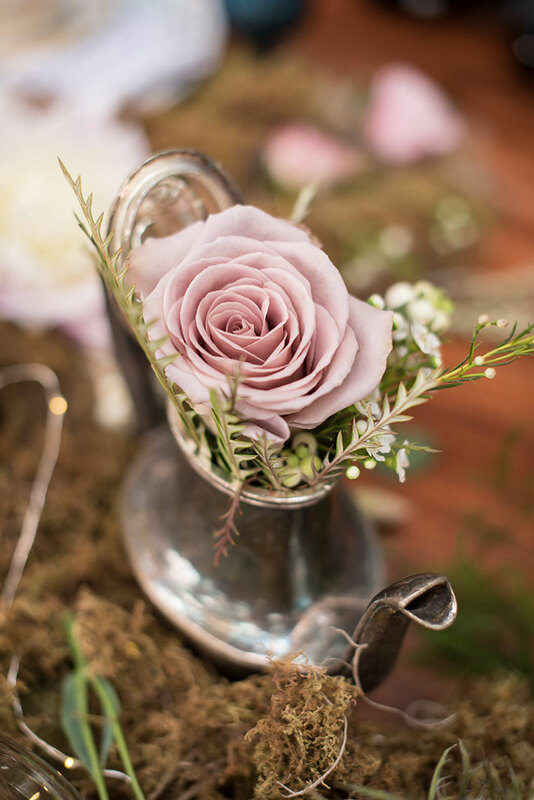 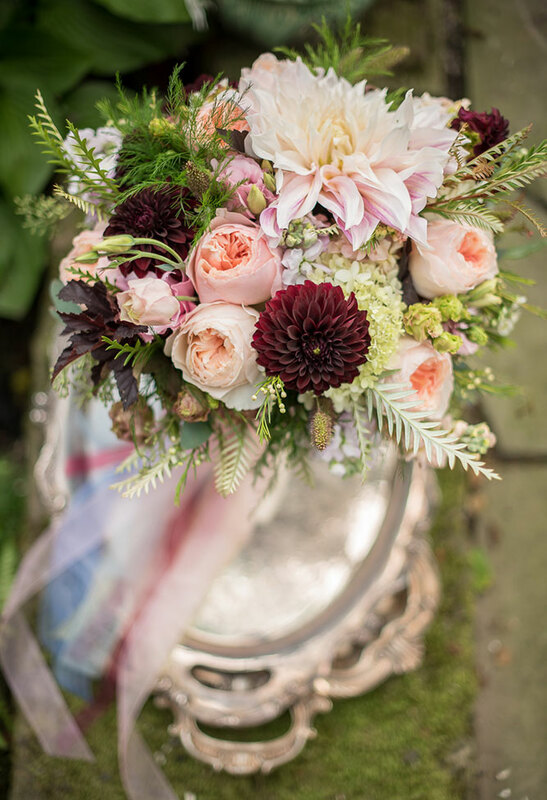 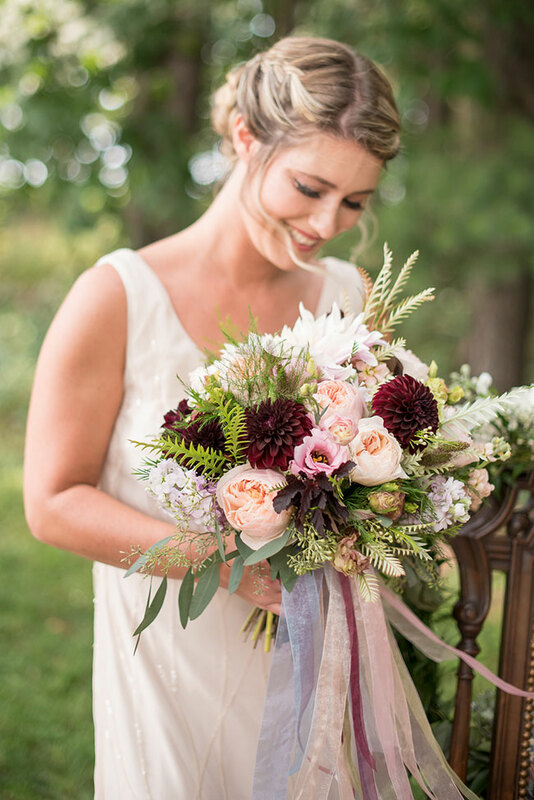 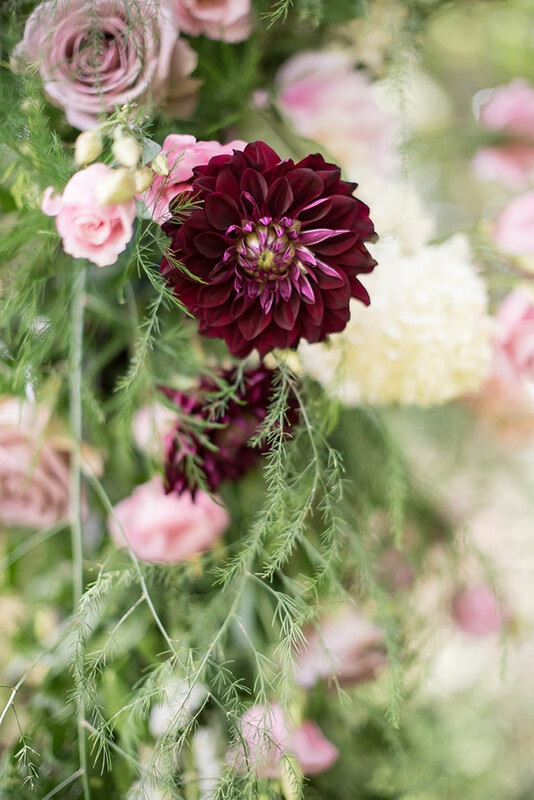 Florist Nikki’s Perfect Petal Designs, inspired by Alice’s garden surroundings, created gorgeous floral arrangements that had structure yet featured loose tendrils giving a slightly reclaimed by nature feel. 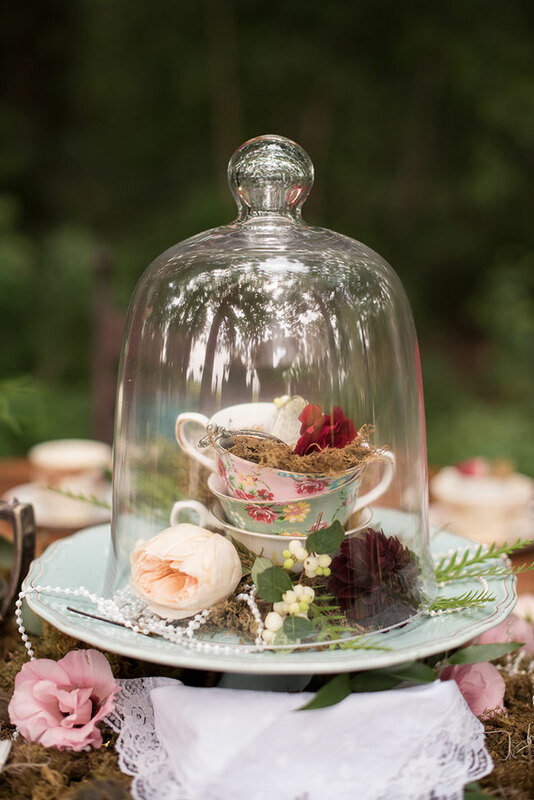 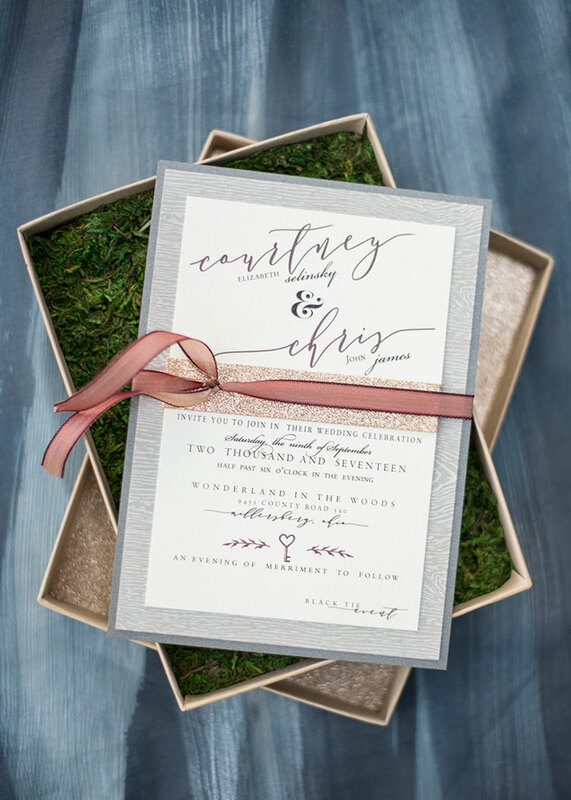 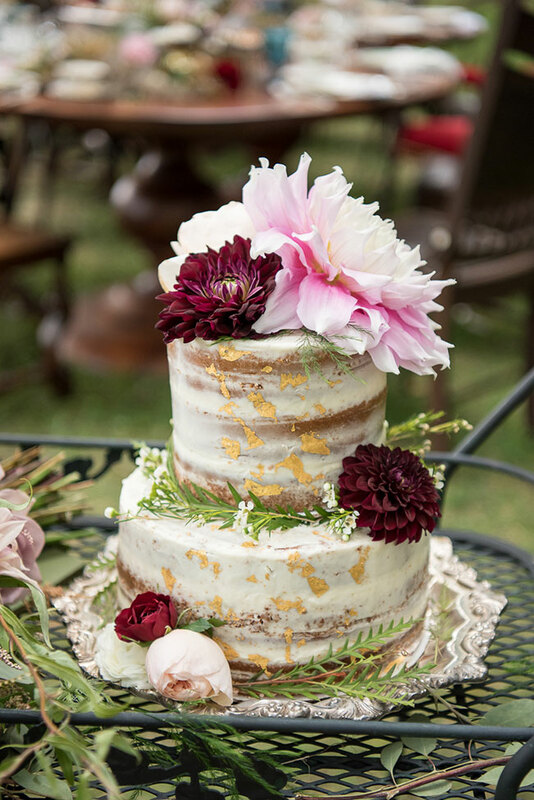 The end result is a take on a Wonderland wedding that is refined & elegant yet wonderfully magical!